Edward Olivares does not have any MLB stats for the season. Edward Olivares...roots for FC Barcelona...his all-time favorite baseball player is Jose Altuve. Spent the entire season with Lake Elsinore (A), slashing .277/.321/.429 with career highs in hits (147), at-bats (531), games played (129) and SB (21)...Ranked second in the California League in games played, at-bats, tied for second in triples (10), third in hits, fourth in runs (79), tied for eighth in XBH (47) and ninth in SB...Hit safely in 16 of his 29 April games with 10 multi-hit efforts at a .284 (29-for-102) clip with seven doubles, three HR and three SB...Went on to hit .237 (27-for-114) in May and .286 (30-for-105) in June...earned CL Mid-Season All-Star honors...Hit safely in a career-high 13 straight games immediately after the All-Star break from 6/21-7/4 at a .375 (21-for-56) clip...In his 62 second half games he slashed .300/.346/.462 with nine doubles, five triples, seven HR and 12 SB...hit safely in 12 of his final 14 games from 8/21-9/3 to close the season...Played in 29 games for Tigres de Aragua of the Venezuelan Winter League following the season, slashing .340/.404/.479 seven XBH, 14 RBI and 15 runs scored. November 20, 2018 San Diego Padres selected the contract of CF Edward Olivares from Lake Elsinore Storm. October 11, 2018 OF Edward Olivares assigned to Tigres de Aragua. January 6, 2018 San Diego Padres traded 3B Yangervis Solarte to Toronto Blue Jays for CF Edward Olivares and RHP Jared Carkuff. January 6, 2018 CF Edward Olivares assigned to Lake Elsinore Storm. August 13, 2017 CF Edward Olivares assigned to Dunedin Blue Jays from Lansing Lugnuts. April 3, 2017 CF Edward Olivares assigned to Lansing Lugnuts from Bluefield Blue Jays. February 26, 2017 OF Edward Olivares assigned to Toronto Blue Jays. November 4, 2016 OF Edward Olivares assigned to Tigres de Aragua. September 9, 2016 Bluefield Blue Jays activated CF Edward Olivares from the 7-day disabled list. July 19, 2016 Bluefield Blue Jays placed CF Edward Olivares on the 7-day disabled list. June 23, 2016 OF Edward Olivares assigned to Bluefield Blue Jays from GCL Blue Jays. 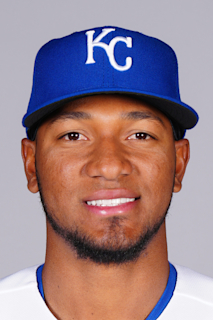 June 22, 2015 OF Edward Olivares assigned to GCL Blue Jays. July 7, 2014 RF Edward Olivares assigned to DSL Blue Jays. July 2, 2014 Toronto Blue Jays signed free agent OF Edward Olivares to a minor league contract.